I was a 19 year old Marine stationed in Twentynine Palms, California in 1986 and went with a buddy to visit his aunt and uncle over a holiday weekend. During breakfast the following morning, looking out the window, I could see the rear end of something orange sticking out from under a large bush. When I asked about it, my buddy’s aunt said it was the car that her father had gotten her for graduating college. Living in the Nevada desert farmland up above Bishop, California, the roads were mostly dirt and very rough, so she rarely drove the car. On a whim she pushed the car out from under the bush, washed it off, and jump started it. 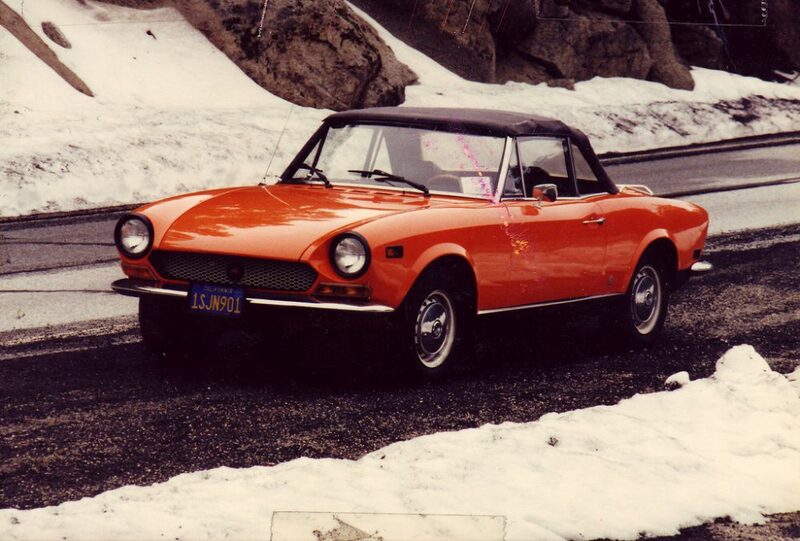 It was a bright orange Fiat Spider (which I’d never heard of), and it had a perfect black interior with a black canvas top, which she carefully lowered. When she asked me if I’d like to drive it, I was genuinely surprised and thrilled. As I took off down a country road lined on both sides by tall poplar trees, the exhaust note captivated me. What the heck WAS this thing? 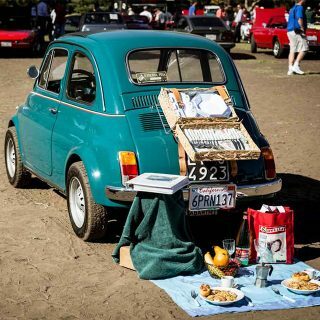 I’d never heard of a Fiat, but I quickly fell in love with the wood dash, the big steering wheel and the gauges in Italian (the Benzina gauge was my favorite!). The shifter felt very precise, and the little car just begged to have the gas pedal mashed. I was in love! The odometer showed 19,000 miles, and it drove like it was brand new. Of course, they hadn’t really thought about selling it and needed to “think about it,” so I went back to Twentynine Palms feeling dejected. A week later they called, said they’d researched prices of similar cars down in Los Angeles (the nearest city that actually had any for sale), and offered it to me at a steal. The next week I had a buddy drive me up to Bishop where I’d meet them. When we got there, I was a bit taken aback that they had removed the license plate, but I was really looking forward to my drive back to base. I borrowed the front license plate off my buddy’s car, and I was off! 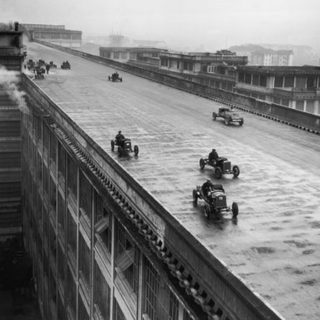 Having a car, especially a convertible, made me VERY popular in the barracks. The rule was that passengers paid for gas, and rarely did we leave base on weekends with fewer than four of us crammed in that tiny car. 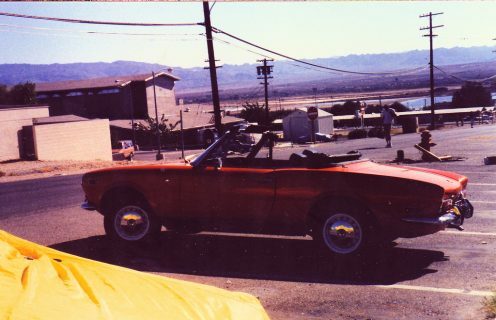 We drove that little thing to Las Vegas, Lake Havasu, Santa Barbara, even Ensenada, Mexico! I learned how to maintain my little Italian beauty with a twenty-dollar set of tools from K-Mart and a book I checked out from the base library. We had many great trips in that car, but the one that stands out in my memory was my very first drive in the car. I drove down the spine of California on Highway 395, through the high desert, in summer. The heater and vent controls had hieroglyphics that I found to be incomprehensible, most of the switches had no labels, and the gauges were in Italian, but I figured most things out. Mostly, I was entranced by the engine sounds! Being a kid from the east Coast, the central California desert was amazing. One scene I’ll never forget (I’m not sure where) came into view as I drove through some amazing red rock canyons where I came upon a dusty old Mercedes gullwing parked with one door up and the owner relaxing next to it, in a lawn chair, reading a book and enjoying the view out in the middle of nowhere. 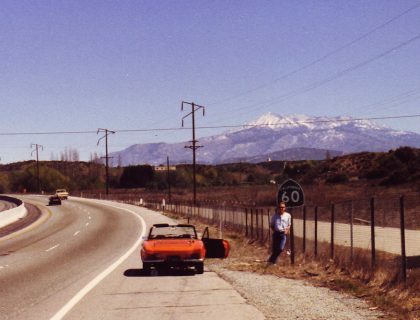 Entranced by the scenery, I drove all the way down to Riverside, California where I picked up a buddy before we made the drive back to Twentynine Palms. A few days after getting back with my ‘new’ car, I was reading the owner’s manual, and I discovered I’d driven across the Mojave desert in summer with the heater on full blast! I must have washed and waxed that car within an inch of its life. I performed all the maintenance on it–including a headgasket replacement–all in the sand next to our barracks! Gosh, I cringe now, looking at the open engine with all that sand around! I loved everything about that car, from the chrome gauges with the Italian markings, the real wood dash, the precise feel of the shifter, and those wonderful exhaust notes from that Lampredi twin cam! 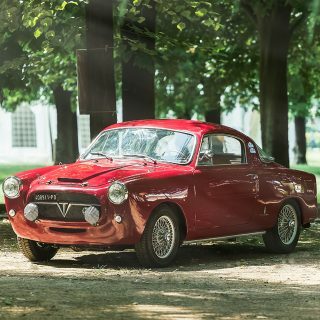 It was simply a gorgeous car, in later years I learned it was penned by Tom Tjaarda while he was at Pininfarina, and you can see hints of other Pinin designs in this car’s lines. I got transferred to Hawaii (tough duty for a young Marine! ), but as soon as the car was delivered, it began rusting. Desert life had preserved it wonderfully but dried it out and in Hawaii the rust grew and spread amazingly. 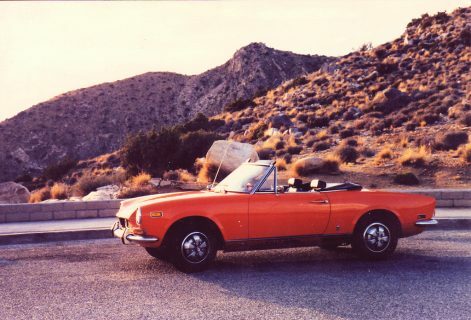 It got rear ended in Waikiki one Friday night, and foolishly I traded it for a ’79 Alfa Romeo, which may have been one of the most wonderful, foolish and frustrating cars I ever owned. Since then, I’ve owned seven more Fiats, but none of them quite fill the niche in my heart that the orange one left. Gear If You Can't Afford Your Own Race Team, Build It! 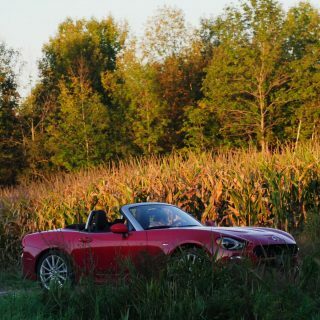 Journal What Do You Think Of The 2017 Fiat 124 Spider? A roommate in the 80’s had a ’77 124 that I borrowed ALL THE TIME… LOVED IT… SO… when the new one was announced.. I immediately said.. THAT’s my new car… got one of the first Lusso’s on the west coast with a stick… Every factory Option…. Sold my Mustang GT.. got a ’68 Austin Healey Sprite to add to my Roadster fever.. . now want an old Spitfire or MGB GT also..
Great story. 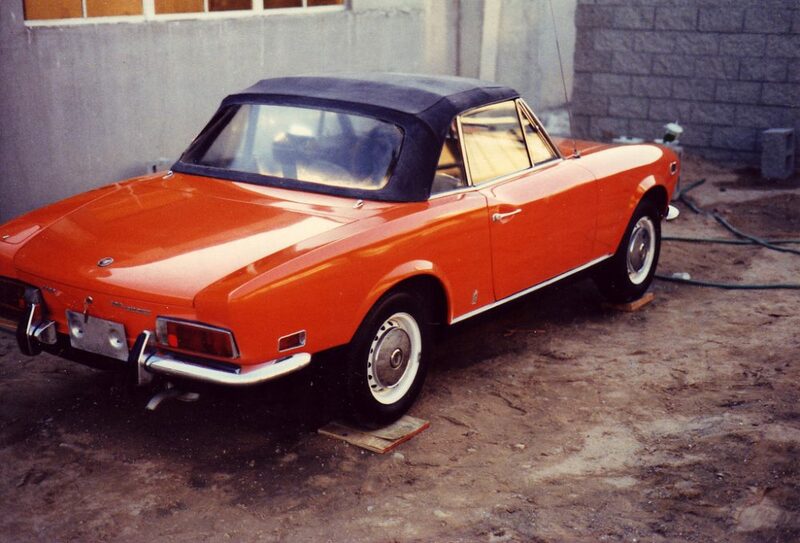 I have owned a Fiat 124 AC coupe for 20 years since i was 24 years old. They really are a special machine. Mine was off the road for a year and finally got it all going last weekend with the help of a good friend. We went for the best blast in the hills I have had for many a year that both reminded me of how much fun these cars are and reinvigorated my friend to complete his own 124 restoration. Good times. Great story, beautiful pics… you were in love. Great story, and a great machine. I can totally relate as I’ve been in love with the 124 since my teen years, and I’ve had 7 Spiders so far. 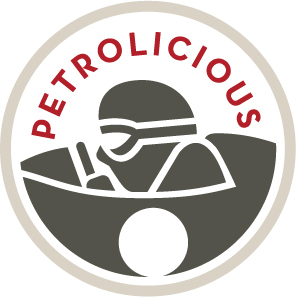 It’s one of the most delicious cars all-round. You can drive it, work on it, look at it, you name it, and it’s always great fun. Must do a write-up on mine someday. Cannot wait to read your story Eddie. I know how passionate you are and love that our cars are original black cars from factory. Love this story! Thanks for sharing! That surely was a beautifully written piece about a beautiful car. Beautiful story, Lee! Great that you had nice photos of your road trips. Thanks for sharing. 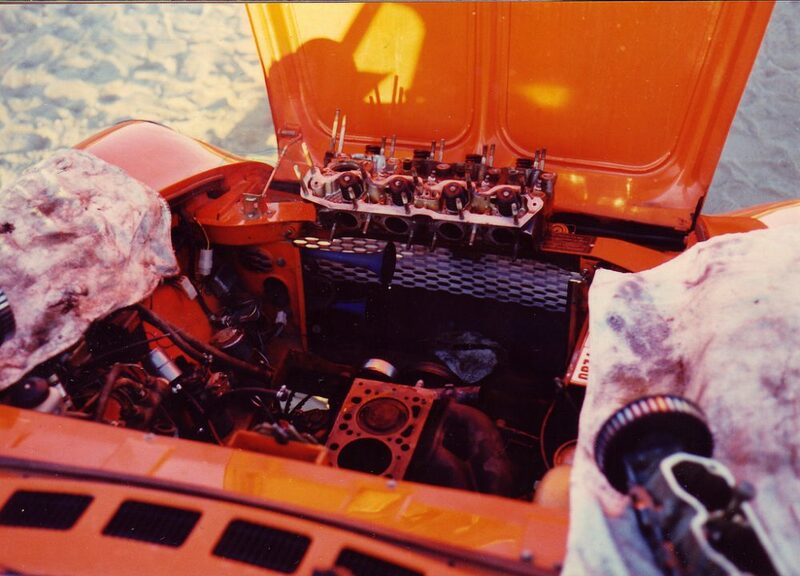 Having the heater on full blast probably helped the engine run a little cooler in the desert. 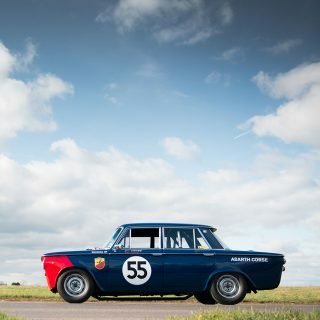 Great car, great story. Thanks. Great story. Nice to read about a car that earned it’s keep by making a time and place in life just a little bit better.